Batter up! The pinnacle of America’s favourite pastime, baseball, is the MLB. The best of the best pitchers, outfielders and sluggers hit the pristine diamonds expertly tended to across the United States. 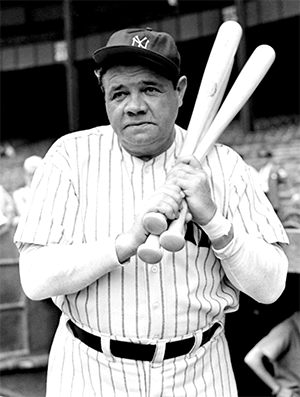 Adored by fans, Major League stars are some of the most recognisable sports men in the world. And, while it can be a drawn out game, there is no hiding the love for it, among sports fans and punters alike. With games almost every day throughout the season, there’s never a dull moment on the betting front. Here, we’ll help you find out what it takes to make a bet on the major league and hopefully send you in the right direction of winning some serious cash. Hold up! Before you step up to the punting plate, you’ll need an online bookmaker to take on your wager. Here are a few of the strongest, tried and true bookies for you to bet on. There’s nothing worse than missing out on a big odds with one bookie, so make sure you open accounts with them all. How does the MLB work? Look if you’re going to have a wager, you might want to make sure you know exactly how the MLB operates. Fortunately, we at realmoneygamble.com.au can help you get to know the game so you can get punting faster and more affectively. Founded in 1903, the MLB is the oldest of America’s four major sports organisations. There is no other competition in the world where teams are on the field almost every day of the season, playing 162 games from April to October. There are 30 teams in the competition across two leagues, the American League and the National League, with 15 teams in each, broken into six divisions. The regular seasons whittles the competition down to 10 teams, six of which are the division champions and go straight through. There are then four other wild card teams, two from each league, who play off against each other in an elimination match, with two going through. The eight remaining teams then play a best of five series against each other within their divisions, before the four winners go through to the League championship series. The winners of each league face each other in the World Series, a best of seven competition that crowns the best team in baseball. Head to head or money line: Back the winner of the match. Simple right? Not quite in this game, with so many ebbs and flows across a game that can last for hours. Choose wisely. Total home runs: Your bookie will provide a number of home runs and you have to decide whether the team, or both teams can either exceed or will fall short of them. If it’s 7.5 runs, you’ll need them to fire off eight to win on the overs, or hope they get held to seven or less by the defence. Run line or handicap: Here’s where the handicapper imposes a run penalty on the favourite and gives the outsider a buffer. Say if the line is 1.5, then the favourite will be -1.5 and the outsider +1.5. It means the outsider can still lose if you back them, so long as they lose by one run or less. By the same token, it’s not enough for the favourite to win, it needs to have at least a two run buffer on the opposition. Parlays or multi bets: High risk versus high reward. This is where, if you either know the game, or are really good at fluking it, you can make some serious money, with very little outlay. Pick your favourite teams on the day, add them to a parlay and watch the odds multiply by each other. They all have to get home for you to win, but can make or break your punting week. Futures: Who will win the World Series? MVP? Cy Young? This is where punters can place their stakes and let it sit and wait. It can take a long time to come to fruition, but these days you can keep an eye on things and look to cash out if your pick has come in from massive odds and your bookie is offering you a payout that exceeds what your initial wager was. Know your limits: Guys, please. Go and pay your bills, put food on the table and get the missus something nice before you stump up for a bet on the baseball. You’ll feel better about it, trust us. It’s a marathon, not a sprint: Be selective. It’s a long season, with hundreds of games. If you’re going to be a frequent punter, you need to find those rolled gold favourites to back in each day. Don’t lose your marbles early and then regret it later in the season when there is money to be had, once the standings have started to take shape. Who is pitching? : It might seem so simple, but the starting pitcher, almost more than any other factor, has an overbearing impact on the game. The best pitchers rarely lose, while it’s worth watching hard if your team is rolling out a third or fourth stringer. You better ensure the bullpen isn’t packed with a bunch of spuds, either. Make sure you do some daily scouting before you place your punt. Injuries matter: Well duh, of course they do. You need to know who is in and out in every match you bet on. Don’t get your nickers in a twist when the star batter is on the rack with a knee injury and you didn’t check up before dumping your hard earned on his team. Play the field: We mean this literally. The best fielding sides tend to be the best sides, full stop. Those teams with tenacious defence are the ones we like to follow. Winning form is good form – and so is losing: Teams on hot streaks should always be followed. Back them in to keep going, that winning feeling is too good to miss out on. By contrast, stick with those teams who are getting smashed. It’s easy for losing teams to get bogged down in the mire of long season and that is when you capitalise by backing against them.